The Bombay High Court on Friday set aside a tax demand of Rs 3,200 crore on Vodafone India handing India’s secondlargest telecom operator by number of subscribers a victory, at least for now, in one of its various disputes with Indian tax authorities. 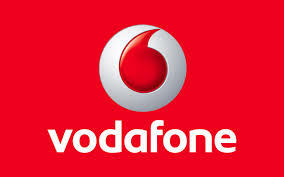 The taxman has accused Vodafone India of violating transfer pricing regulations by under-pricing shares it had issued to its parent, Vodafone Plc, in a rights issue. The alleged under-pricing meant Vodafone Plc paid less to get a higher stake in Vodafone India, entitling the authority to collect more tax. “Vodafone has maintained consistently throughout the legal proceedings that this transaction was not taxable,” Vodafone said in a statement. This episode and a similar tax demand on Shell India had caused consternation among foreign investors as this was the first time transfer pricing rules had been applied in this manner. Lawyers dealing with these tax cases said this order may mean that similar tax demands may also be set aside.